Are you ready for the holiday festivities? 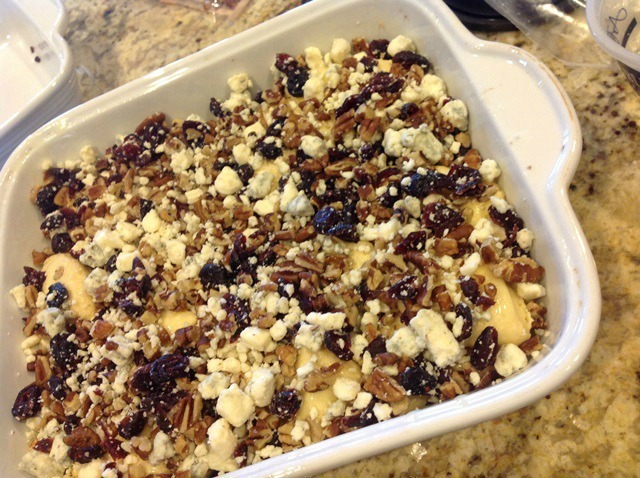 I know when this time of year rolls around I am always looking for easy appetizers and desserts for on-the-go entertaining and last minute social engagements. 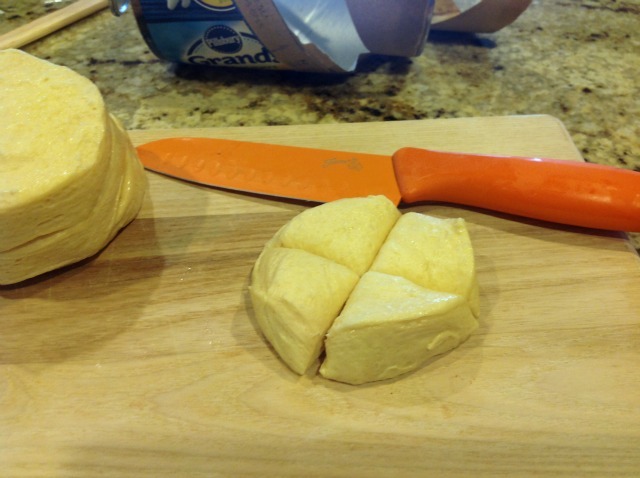 Easy to me means a few ingredients, a couple of shortcuts, and can be made quickly with minimal prep. 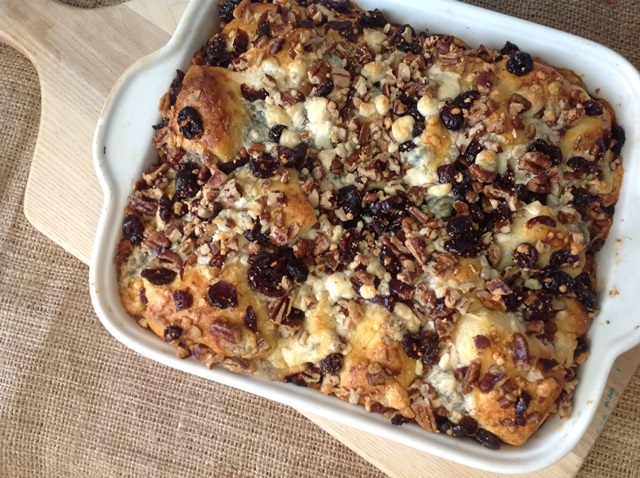 Well, this Blue Cheese Cranberry Pull Apart appetizer fits all of those requirements! Breads, rolls, biscuits...they are my weakness. If I can use one of those as the base to an appetizer, I know I am going to like it. 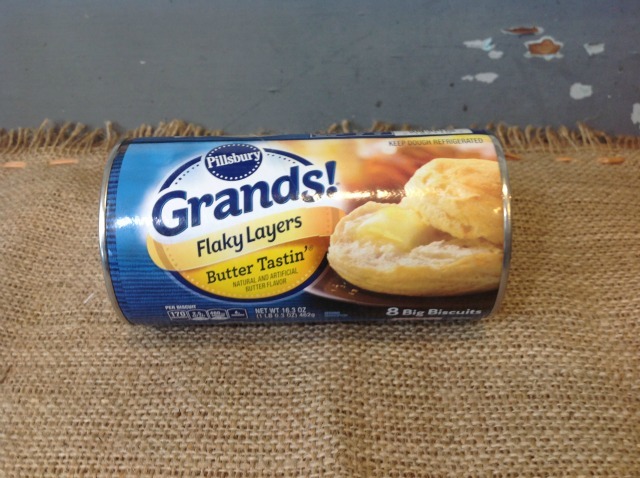 I decided to use Pillsbury™ Grands! Biscuits for the base of this indulgence. 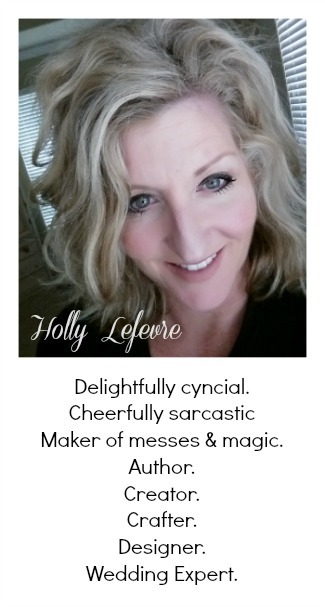 The buttery flakiness of the Grands! 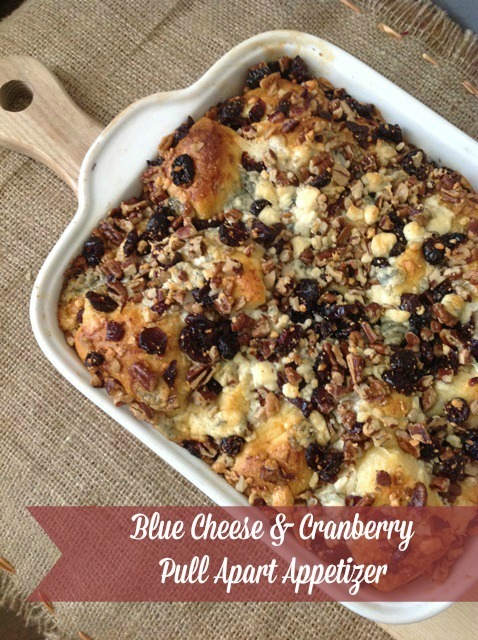 combined with the savory flavors of the blue cheese, the sweet tartness of the cranberries and the toasty crunch of the pecans is pretty much perfect. So, what are you waiting for? Run to your local Randalls and stock up n the ingredients for this appetizer. Be prepared for anything and make your holidays more memorable and delicious with Pillsbury™ products purchased at your local Randall's. 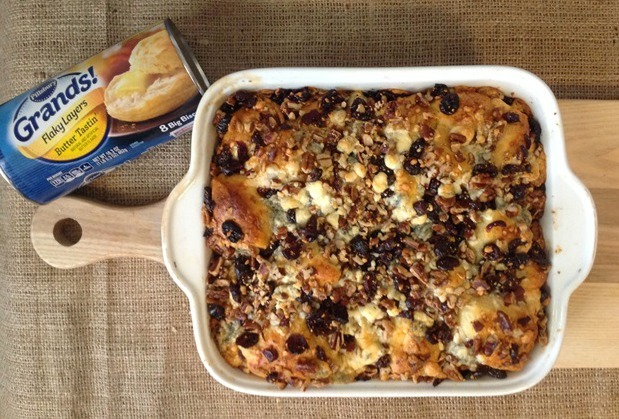 With the help of Pillsbury, you can unleash your creativity! Oh...did I mention...this appetizer takes 30 minutes or less from start to finish! So, let's get baking...there's a holiday party happening somewhere! 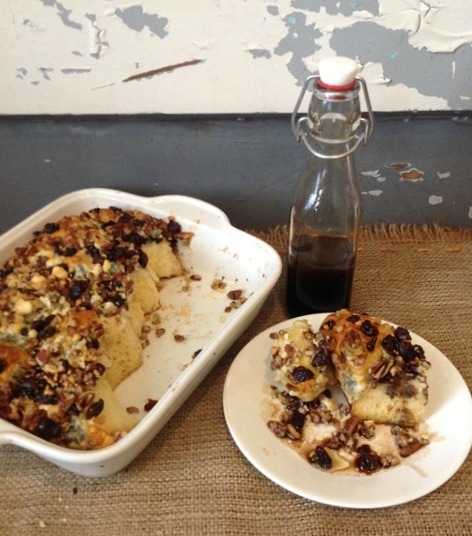 NOTE: Next time I make this I will make it in the larger pan or a fluted pan (like monkey bread. I feel it give the Grands! more space to expand and bake up while the toppings thoroughly get on all of the Grands! 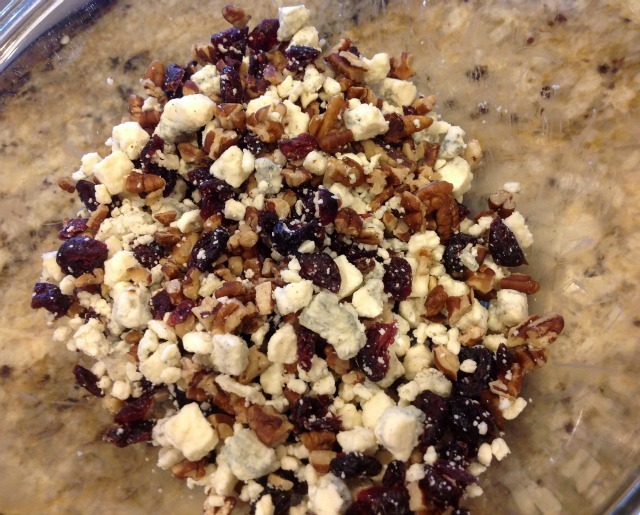 Combine the blue cheese, cranberries and pecans in a bowl. Melt the butter and brush it all over the pan. Open the Grands! and separate the biscuits. 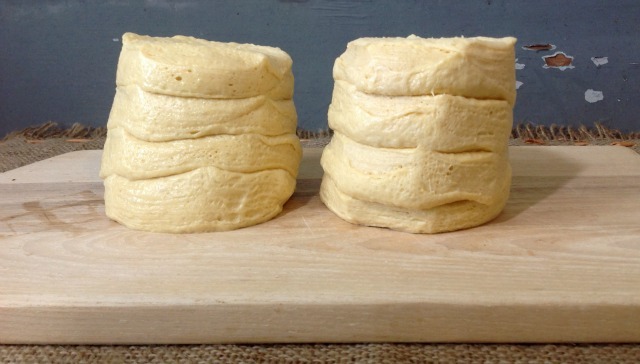 Cut each biscuit into quarters (fourths). NOTE 1: If you are using the larger pan, this should fill the pan. NOTE 2:If you use a smaller pan, sprinkle some toppings once you get one layer down, then proceed with another layer). 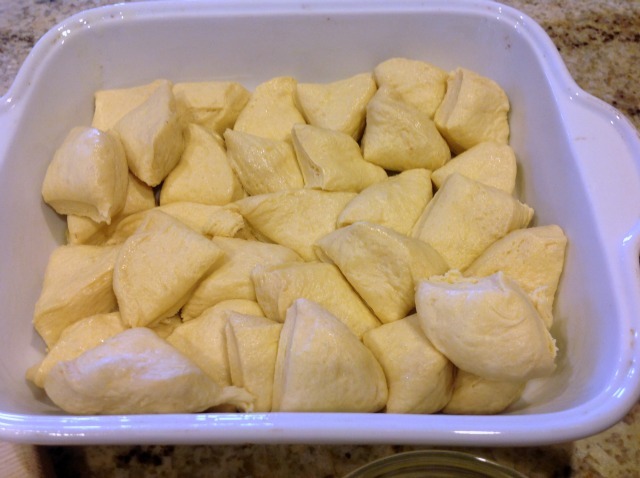 Using a basting brush and brush the remaining butter all over the biscuits. Sprinkle the topping all over the Grands! in the pan. There you have it with very few ingredients, just a little prep, and 20 minutes in the oven you have baked up some holiday goodness! Now, I like to serve it with a 1:1 combination of balsamic vinegar and olive oil. It just adds the perfect hint of acidity. Do You have a Go-To holiday appetizer? This is a sponsored conversation written by me on behalf of Randall's . The opinions and text are all mine.